Digital marketing has transformed the way businesses promote their brand and connect with customers. Find out how to make digital marketing work for your business with this free eBook. Today, a sophisticated digital marketing plan is key to any business’s success. 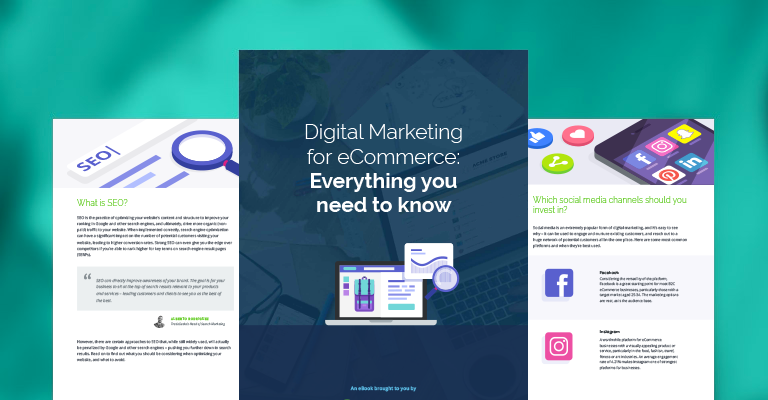 But with 48% of SMEs claiming they don’t know if their digital marketing efforts are effective, businesses need to be smarter about utilizing the right channels, setting digital marketing objectives, and tracking performance. Please complete this quick form in order to download our Digital Marketing for eCommerce eBook. We will never divulge your details to third parties!